Take control of two dolphins with boosted echolocation powers and restore peace to the ocean. Embark on an underwater puzzle adventure in a world where humans have disappeared, and nature is bouncing back from centuries of human-made climate change. Play as the enhanced dolphin Jupiter and her AI partner Mars as you embark on a journey to locate and shut down the remnants of human technology that are disrupting sea life. Celebrated marine conservation organisations SeaLegacy and The Ocean Foundation have partnered with the game's developers to provide fact-based exclusive content highlighting the consequences of pollution. Use Jupiter’s echolocation powers to navigate through murky water and solve environmental puzzles. Mars’ Ram ability can bust through walls or pop open oyster shells to uncover secrets scattered across the game. 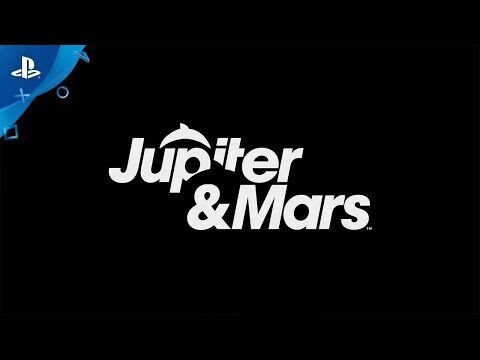 Get an even closer look at Jupiter & Mars’ vibrant world with its sunken cities and challenging puzzles with PS VR.